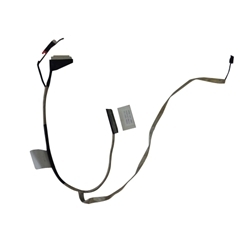 Description: New genuine Acer laptop replacement lcd led edp video cable. This cable is the touchscreen version only. If your laptop does not have a touchscreen, this is not the correct part. Compatible Part #'s: 50.MG0N2.001, DC02001VE10. Acer Aspire E1-510, E1-510P, E1-532, E1-532G, E1-532P, E1-532PG, E1-572, E1-572G, E1-572P, E1-572PG, V5-561, V5-561G, V5-561P, V5-561PG.